ItemB-06973 - Log dump at Chemainus. ItemB-06974 - Shawnigan Lake Lumber Co.
ItemB-06976 - Logging camp number 2, near Chemainus. ItemB-06978 - Railroad bridge near Chemainus. ItemB-06989 - Kicking Horse River west of No. 1 switch; Macmunn No. 292. ItemB-06998 - The SS Kaslo. ItemB-07004 - The steamer "Beaton". ItemB-07006 - The SS Slocan at Slocan City. 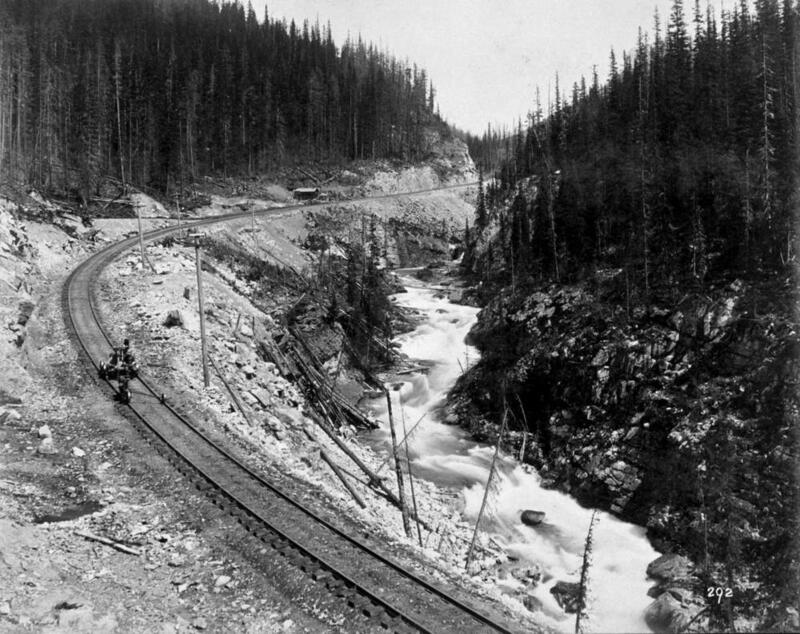 ItemB-07014 - The Steamer Revelstoke. Item B-06989 - Kicking Horse River west of No. 1 switch; Macmunn No. 292.